One of the UK’s largest specialist dealers of commercial and domestic machines, Winchester Garden Machinery deals in the best names in the business, including Honda, John Deere, Stihl and Husqvarna. 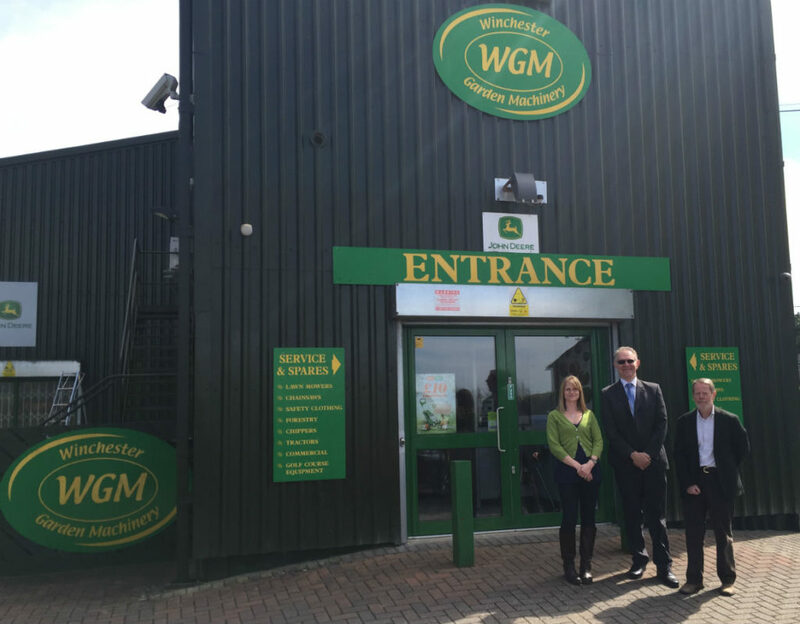 WGM’s success is down to numerous factors, not least their attentive, experienced staff and their ability to move with the times, shifting a part of their business onto the internet. 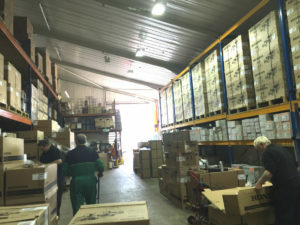 We had the pleasure of speaking with Amy Nocetti, Director of Commercial Sales, about WGM’s experience of running four depots while managing to stay organised and keep stock under control, something that would have been near impossible without the help of Ibcos Gold. What can you tell us about the history of the business? What sets you apart from other dealers? Amy: “Both of our managing directors have been with the company from day one and both of them know all of our customers personally. They know what products they’ve purchased, where they’re based, which machines have been serviced and so on. We’re a proper family business, which means complete involvement and that brings with it a lot of personal pride in every aspect of the business. People hear about our great service mostly through word of mouth and once they’ve experienced what we can offer for themselves, they become very loyal to us. 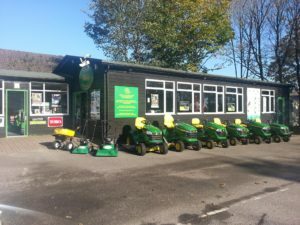 You are one of the UK’s largest specialist dealers of garden machinery. What do you think are the main reasons for this success? 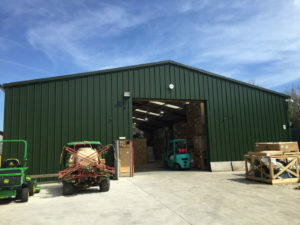 Amy: “Along with our main business – four local depots that sell and service garden machinery – we also run two online businesses. Obviously, when we started out, having an online presence wasn’t an issue, but after the turn of the millennium, it quickly became pretty obvious that the Internet was here to stay. It was a case of either getting on board or being left behind, so we decided to get on board. Our website is a basically a virtual showroom and an online catalogue. We also like to think it’s more personal than many modern websites. It’s part of the nature of the products we sell that you need to be able to interact fully with your customers. Our website encourages potential customers to get in touch so that we can talk them through our online product selection on the phone. We also encourage them to get a feel for the product before they buy it. We do this by actually taking the product to their home and letting them try it out for themselves. We listen to our customers, understand what they need, and make absolutely sure they choose the product that meets their specific requirements perfectly. Garden machinery is a big purchase and it’s important to us that our customers get it right. What are some of the company’s biggest achievements and accomplishments? Amy: “One of the things we’re most proud of is having kept the business running, and consistently doing well and growing, with no redundancies, for almost half a century. We’ve had to face the same economic upheavals as everyone else, but we’ve managed to keep the business strong, we’ve kept our staff and we’ve prospered. What type of dealership management system were you using before Gold and what were some of the challenges you faced? Can you describe how you use Gold on a daily basis? Amy: “As I’m primarily involved in sales, I use Gold on a day-to-day basis for selling, invoicing, creating workshop jobs, putting stock out and reserving it. I use the Quick Sales Analysis feature to examine customers’ profiles in greater detail. I look into their history and stock levels, and check to see if there are any outstanding jobs. The Classic version of Gold is incredibly easy to use as it’s keyboard dependent, which means I can do things without looking or using a mouse. It’s a real time-saver for me. I love the Classic view as it’s much faster. Personally I think it’s the best thing about Gold. The founders focus more on the workshop side of the business so during busy seasons, they use Gold to view the status of open jobs. They check to see if parts have been fitted, how close jobs are to completion and so on. Are there any reports or key metrics you look at before making key decisions? Amy: “We use various reports that show us exactly how the business is doing. They show us, for example, how many units we sold of a specific item over a period of six months to a year. This kind of information is crucial during the winter season when we’re planning stock orders for the coming year. It’s also great to be able to generate and download reports on sales of specific parts or from a particular manufacturer. When we want to look at profit, we analyse customer reports to see how much they’ve spent over a certain period of time. And when we want to see how our salesmen are getting on – where they are and what they’ve achieved – Gold can generate reports on that too. How has Gold affected the way you run your business? As you continue to prosper and grow, what are the next steps in your long-term technology strategy? What advice would you give to dealers looking to grow their business and reach new levels of success? Amy: “Choose the products you sell really carefully, get to know your market and most importantly, make sure you know your customers inside out. Amy Nocetti, Director of Commercial Sales, Michael Cheyney, Accounts Manager, with Jon Fulcher, Sales Director of Ibcos Computers. Be the first to hear of recently published dealer stories.